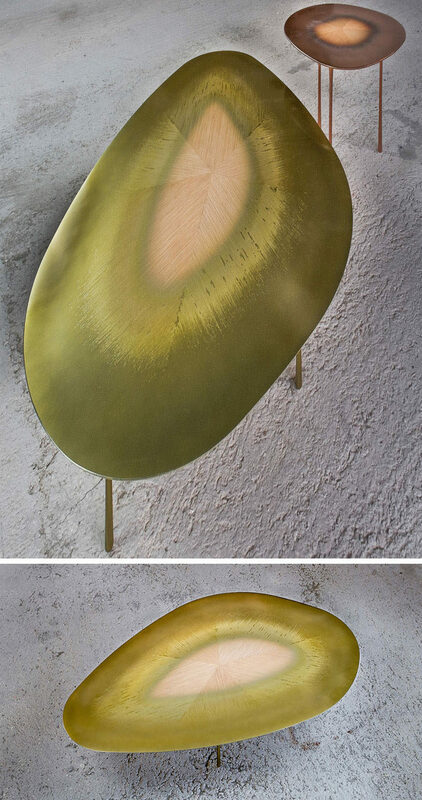 Design studio UUfie, have created The Echo Series, a collection of modern tables manufactured by Toscari and Matter of Stuff. Using a technique of combining hardwood and metal, the designers embedding metal into lines of softwood create an elusive boundary between the two materials. 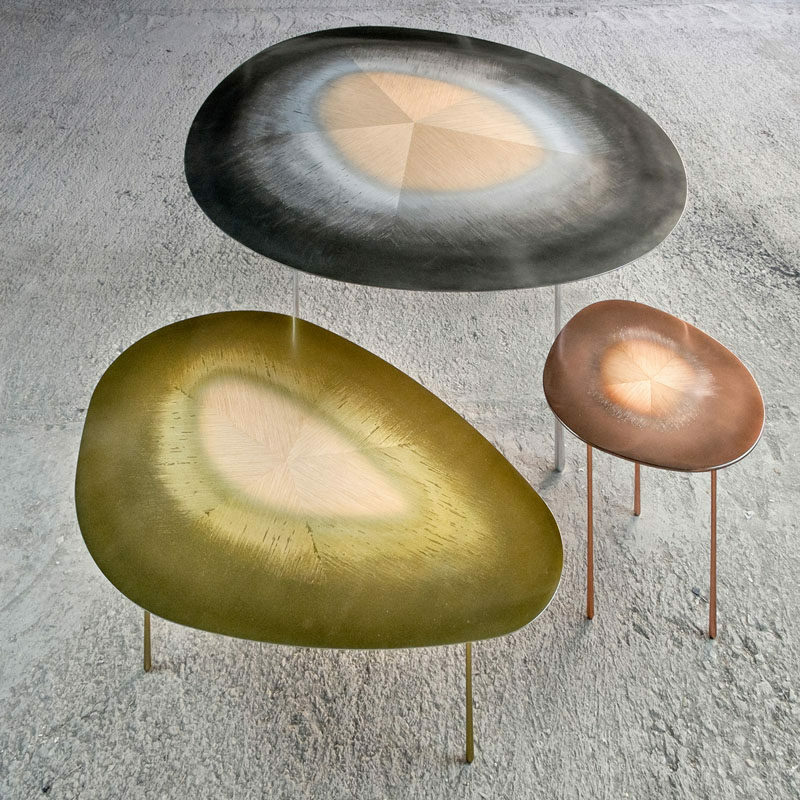 All uniquely shaped, aluminum, copper, and brass, differentiate these three contemporary tables which are made from aluminium, wood and liquid metal. The largest of the series is the aluminium table. 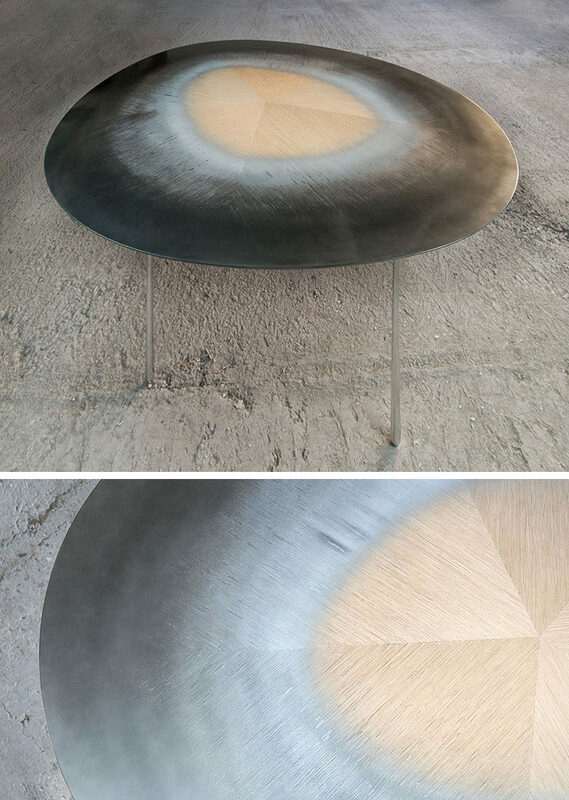 Sitting on top of three aluminium legs, dark metal hues fade towards the wooden centre of the table. 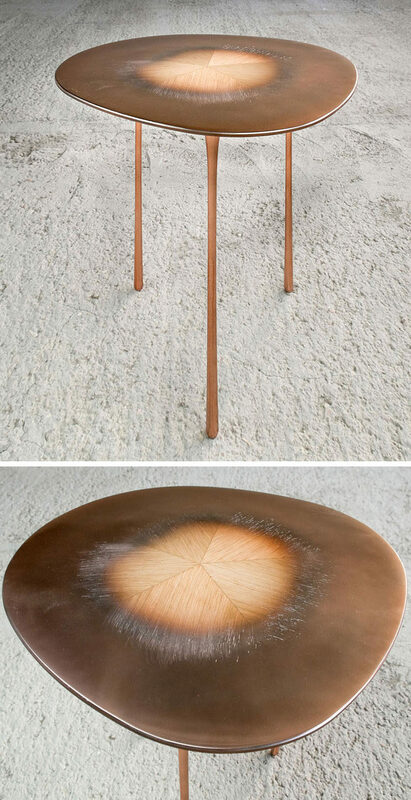 The brass table with similar fading, medium in size, sits on three legs and is the most colorful of the collection. The warm copper table is the smallest of the series, make it a perfect nightstand.